...communicate with us on all levels of our human existance." B.D. 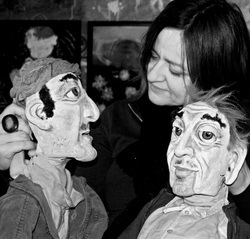 - Since September 2013 teaching puppetry in several afternoon clubs at Novy Porg school in Prague. I'm very proud that I've been involved with three puppets and one mask in 2012's production of Charles Dickens' "A Christmas Carol". It's produced by Prague Playhouse Acting Studio and directed by Michael Pitthan, who also did the PFTC mask workshop with me. 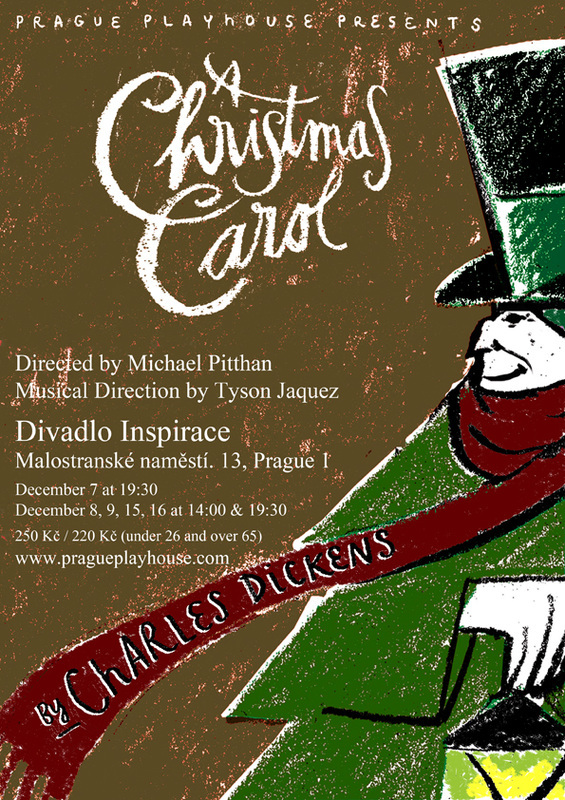 A collaboration between PFTC (Prague Film and Theatre Centre), special guest actor Michael Pitthan and Dark Smile Studio. For pics from the workshop, please click on the image!! The Harpy - a 2,5m sized puppet I did for the performance of Shakespeares' "The Tempest" for Novy Porg Gymnasium, Prague. Nos Nseis (co-production by Husam Abed and me) and the witch. 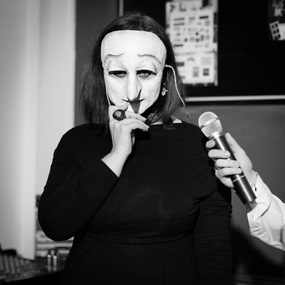 Speaking at PFTC - Prague Film & Theater Center networking launch. On October 22nd 2012 I've been introducing my work at the second PFTC annual networking launch at The Globe Bookstore & Cafe. Thanks a lot for the invitation! Stop Motion Animation class with Mirek Trejtnar, www.puppetsinprague.eu . 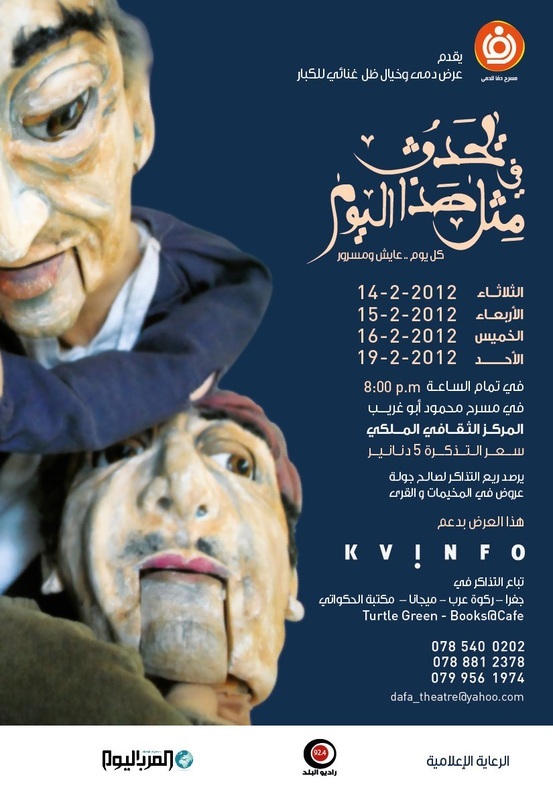 with Smoking Apples, a London based puppet and theatre company. Puppets in use were table-top puppets.